These days it’s not hard to find streaming services that offer 4K movies and TV shows on-demand – Netflix and Amazon are certainly leading the charge but it’s only a matter of time until more follow suit. However, if you’re the kind of person who wants the best, uncompressed picture quality from your movie sessions and TV bingers, you need to invest in a 4K Ultra HD Blu-ray player. Despite the fact that most of the rest of the world is happy to settling for streaming video, dismissing physical discs, no consumer video stream can get close to the quality of a 4K Blu-ray. At least not at the moment. If that’s not enough to convince you to upgrade your home cinema experience with a UHD Blu-ray player, then another argument for opting for physical discs over streaming is that your TV might be screaming out for it. For example, if you’ve invested in a top-notch television set such as the LG C8 OLED, then it deserves some 4K Blu-ray pampering. More importantly, gone are days the “4K” tax for high-end AV equipment. Sure, the highest-tier devices may still be on the pricey side, but there are affordable picks out there if your budget is tight. Most will even support 4K Netflix and Amazon Prime, too, allowing you to get the best of both worlds. Enjoy having your Ultra-HD cake and eating it too? 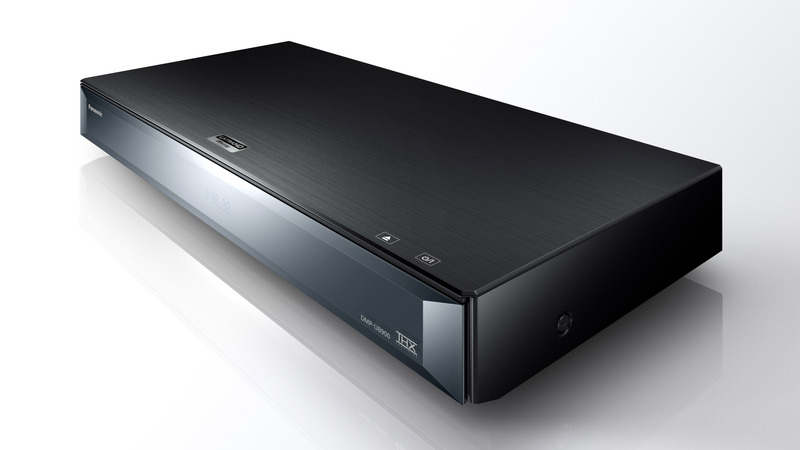 Here are the 4K Ultra HD Blu-ray player you should go for. Is your 4K TV all setup and ready to go? Here’s a quick look at the best 4K Blu-ray players available to buy today. The DP-UB9000 is Panasonic’s latest flagship 4K Ultra HD Blu-ray player and, after Oppo started winding down its competing devices, the new model finds itself in one of the top spots in the high-end player market. That said, beautifully made and enviably specified, this flagship 4K disc spinner is unashamedly premium. The plastic and tin build, familiar on mainstream Blu-ray players, has been replaced with heavy metal and luxe design. Beyond its good looks, however, the DP-UB9000 is also the first UHD deck from Panasonic to support all key HDR flavours: vanilla HDR10, its dynamic sibling HDR10+, HLG and Dolby Vision. The latter is included, despite the fact that Panasonic isn’t supporting Dolby Vision on any of its 4K TVs. Not only is the player more than capable with images, it has audiophile aspirations as well, sporting high quality DACs, two-channel and 7.1-channel analogue outputs, and Hi-Res Audio support. Toss in a host of smart features, and the UB9000 ticks nearly every box in the book. Naturally all these flagship features don’t come cheap – but, for those seeking the ideal replacement Blu-ray player after Oppo’s collapse, the Panasonic DP-UB9000 is a more than adequate replacement. While its £999 ($999, AU$1999) price tag might be a bit intimidating, Pioneer has produced a peach of a player with the UDP-LX500. This heavyweight home cinema hero deserves to be shortlisted by all high-end upgraders, and can comfortably claim to be one of the best universal 4K Blu-ray players available for less than a grand. There are caveats though. It’s not quite as brilliant a video performer as its main rival, the cheaper Panasonic DMP-UB9000, and it’s not quite as well finished either. However, if music is as important as movies to you, it’s clearly got broader appeal. Move over Bradley and Gaga, a new AV star is born.